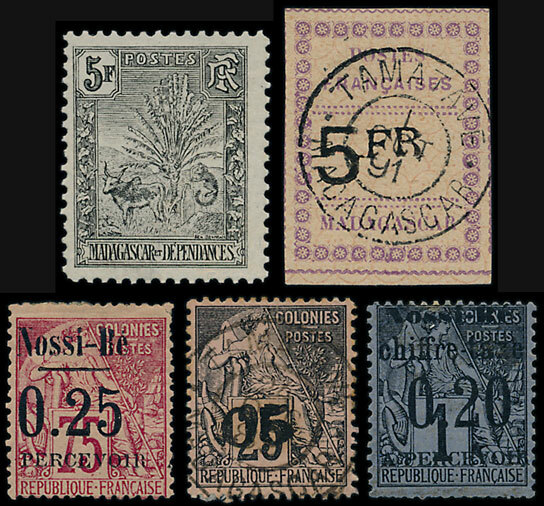 The last of the 2016 series stamp auctions included arguably the best GB classics section we have offered for many years. Almost all of the lots were sold and, due to the high quality on offer, many lots went for well above the estimates. The Queen Victoria section included an 1840 1d black plate 11 which sold for £1300, an 1841 1d red-brown UM sold for £530, just shy of the £600 catalogue price. In the Surface Printed a superb example of the 1867-80 2/- milky blue shade, estimated at £500, achieved a remarkable £1,650, though arguably the catalogue price of £2,000 should be supplemented by 75% for the excellent cancel. 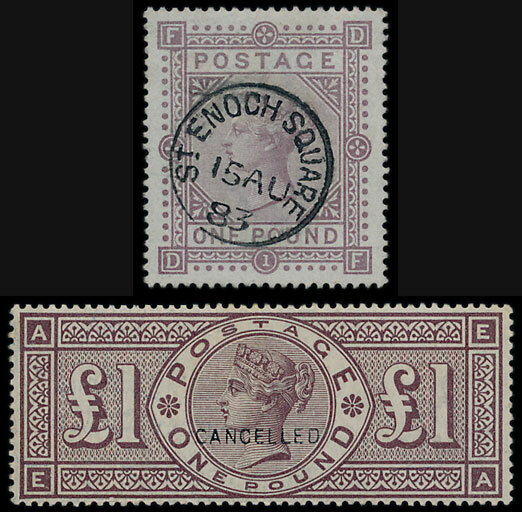 The high values also saw strong demand, with an 1867-83 £1 watermark anchor on blue paper selling for £4,720 and an 1884 £1 with ‘cancelled’ overprint sold for £3180, nearly twice the estimate. A King Edward VII 1911-13 Somerset House print 5/- achieved £485 and a £1 from the same printers sold for £1,300. 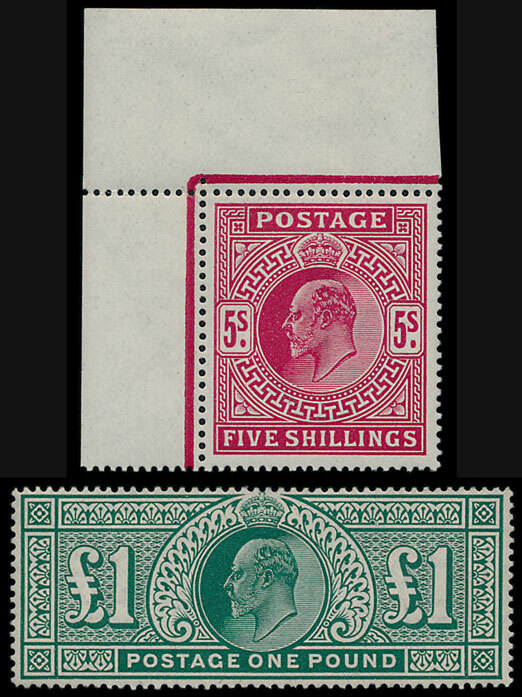 The GB section included a range of Official overprints of exceptional quality, again resulting in some very high realisations. 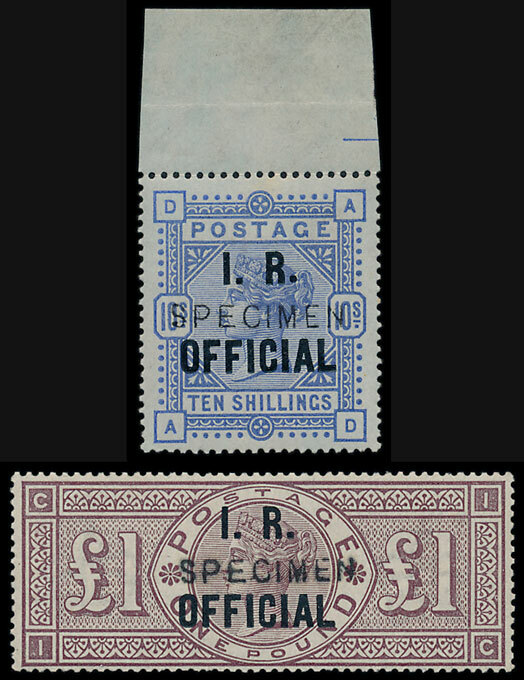 An Inland Revenue 1884-8 10/- with variety ‘raised stop after R’, sold for £2,480 and from the same series, a £1 ‘specimen’ sold for £2,950. 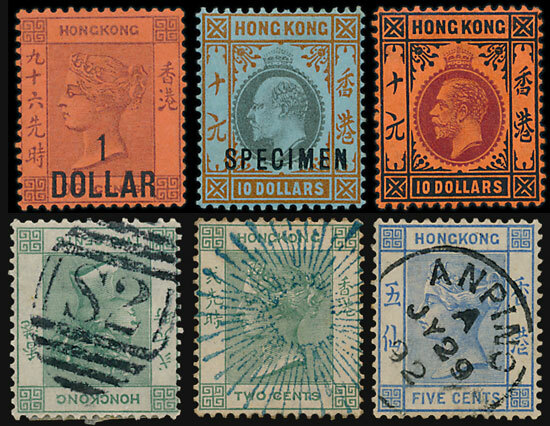 The excellent results were not entirely exclusive to the GB stamps as an extensive Hong Kong collection, offered at £8,000 was pushed up to £15,340 and from the same vendor, a ‘Cancellations’ collection with Treaty Ports, etc, sold for £9,440 (estimate £3,000). In the foreign section some French Colonies collections were in demand, particularly Madagascar which sold for £5,430, well exceeding the estimate of £3,000.